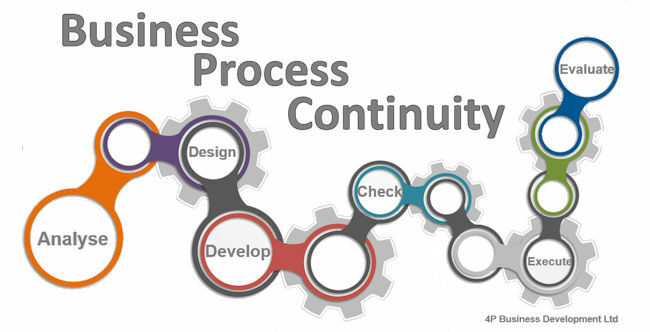 Continuous process improvement is one key to profitability! It allows me to help you focus on the identification and reduction of non-value added activity in your business. This is a systematic approach to help your organisation optimise its underlying processes to achieve more efficient results. I’ll listen carefully to your view of the business, the history behind the current business plan and structure, the areas which are currently successful, those which you would like to improve, and your business goals and objectives for the future. It’s very important to scrutinise your business processes to identify how and where they can be streamlined, whether process order can be improved, if existing tools can be better utilised and where investment in new systems or equipment can be justified. Analysis Phase – Identify areas of opportunity and target specific problems. These areas and problems are based on team brain-storming sessions, process definition sessions, recommendations forwarded to the team by organisational members, and other various analysis techniques. Design Phase – Generate solutions through brainstorming sessions. Identify the required resources to implement the chosen solution and identify baselines to measure. Development Phase – Formulate a detailed procedure for implementing the approved solution. Implementation Phase – Execute the solution. Evaluation Phase – Build measurement tools, monitor implementation, and evaluate measurements to baseline. However, the success of continuous process improvement within your business also requires you to take the time to identify issues with existing processes and systems and take corrective action. How often should you evaluate and follow up to ensure the processes are working? Basically, wait a suitable amount of time and make sure the problem doesn’t recur. If it does, you should be questioning if you have found the actual cause. Corrective action is used when you are reacting to a problem that has already happened. Preventive action follows the same process except that it is applied to a problem before an issue occurs. Get the right processes and systems in place and your business will be more efficient and allow you to create greater profitability. If you would you like to know more about anything I’ve mentioned here, call me on 01280 700405 or click here to send over an email enquiry and let’s start a conversation about process improvement for your business. I challenge you, I ask those bloody difficult questions (BDQs) and I advise you! 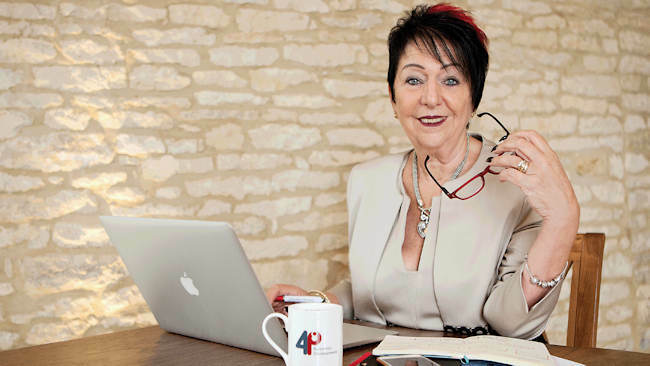 During that time, I gained a business degree from London Thames Valley University and an additional coaching and mentoring degree at Oxford Westminster, That led me to start a successful business in Essex. So you can understand why, after helping so many companies to grow and thrive, it was natural for me to lead 4P Business Development and work more formally with passionate business owners who want to reach the next level of success. Who can I bounce ideas off when I need to? Who will question the status quo and ask me questions I have never considered? What is your plan to manage emergencies that could affect your business? Who will challenge me if I’m going in the wrong direction? How can I find the right experts to support me and my business? How can I get more from my people and increase profitability? I don’t know where to find my best clients? What’s my plan to manage emergencies that could affect my business? Well, I’ve got the answers for you! It’s often relatively easy to identify the issues holding a business back. What’s not always so easy is to ‘bite the bullet’, to make the necessary changes, and to do it in a way which leaves the business and its people in better shape than before. The transition process needs to be managed over time to enable everybody in the organisation to accept and work comfortably in the ‘new’ set up. I’ll listen to you, help you to look at your situation holistically, and advise you on ways to grow the profit over the turnover in your business. ”Kath Bonner-Dunham gets results. She has the powerful ability to cut through the distraction, noise, and chaos that beset so many business owners today. Her refreshingly clear communication and straight-to-the-heart approach are a gift to her clients. The value of her input and her results cannot be overstated. So, I challenge you, I ask those bloody difficult questions (BDQs) and I advise you. And I’ll prompt you to build on areas of strength in both yourself and your business, enabling you to achieve your full potential. If you want the confidence and skills to delegate to others and give them the permission and authority to shine, and bring innovation and inspiration into your business then we must talk. You know you owe it to yourself and your business to invest in coaching, mentoring and advice with 4P Business Development, so why not give me a call on 01280 700405 or click here to ping over an email enquiry and let’s talk. Do you really know just how happy your clients are? Do you deliver what you promise in a timely manner? Or do your clients perceive that you really do not care? 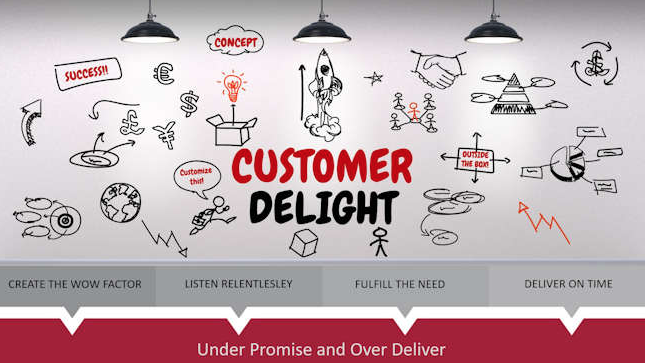 In genuinely customer-focused businesses, customer delight is part of the culture! Did you know that only 7% of existing customers that leave you, leave because of the price, whereas 63% leave because they perceive that you do not care about them? In today’s fast-moving, competitive market, it is more important than ever to ensure customer delight, gaining a competitive advantage and staying ahead of the game. In genuinely customer-focused businesses, customer delight is part of the culture and make-up of the company. It’s the paradigm, “the way we do things around here”. So, do your employees have the customer service skills required of them to ensure customer delight and gain that vital competitive advantage? When dealing with customers on a daily basis, stay patient when they come to you stumped and frustrated, but be sure to take the time to honestly figure out what they want. The ability to really listen to customers is crucial when providing excellent service. What are your customers telling you without actually saying anything? When it comes to relaying essential points to customers, keep it clear, simple and leave nothing to doubt. Without knowing your products inside out and back to front, you won’t understand how to help customers when they have problems. The language you use is a hugely important part of persuasion, and customers will create perceptions about you based around the words you use. Every good customer service representative will have the acting skills they need to maintain a cheery persona when dealing with grumpy people. Don’t spend time going above and beyond for a customer if you’re just going to end up wasting both of your time. Look and listen for subtle clues about their current mood, patience level and personality then mirror the way they are talking to you. The best customer service reps know that they cannot let an angry customer makes them lose their cool. It is their job to be calm for the customer who thinks the sky is falling in. The goal is to delight the customer. Sometimes, this means making decisions on the fly, so support the caller with pre-planned options and guidelines for their use. Sometimes, you’re going to get a customer with an issue that hasn’t been heard of before, and there are no guidelines to deal with it. This is when you need to be empowered to make a decision on best how to help the customer and run with it. It’s not about making a sales pitch in every email or call, but it’s about not letting potential customers slip away if you can’t create a compelling message that what your offering is worth buying. A great work ethic and a willingness to do what needs to be done is a crucial skill when providing the kind of service that people talk about. Ending a conversation with a happy customer is essential in the drive for customer delight. Ok, maybe you can’t solve every issue there and then, but you can strive to get as close as possible. Whether it’s building products, marketing businesses, or helping customers, if you don’t invest in yourself you will get left behind by the people who are. It’s far more than just managing expectations. Customer delight occurs when a business delivers a customer a strong, positive experience that exceeds their expectations. This positive emotional response is what leads to repeat buying, loyalty and word-of-mouth referrals. Delighted customers are five times more likely to repurchase from you than just satisfied customers. According to the American Express Customer Service Report, more than 50% of UK customers will spend more on products and services if the service experience was guaranteed to be first class. It shows that on average, UK consumers will pay a premium of 7% for the privilege of good customer service and 70% state they would do more business with an organisation that offered decent customer care. Would you like learn how to increase your profitability, customer retention, repeat business and competitiveness in today’s market of increasing customer expectations? You may feel that now is the time to give me a call on 01280 700405or click here to ping me an email and let’s see how I can help you.